FLOSS Manuals is here to help people use the open source software programs. There is a clear lack of useful end user manuals for open source software. Open source software has to be combined with open source manuals created in the same spirit of collaboration. And the content should not be locked down but forever evolving like an article on Wikipedia. The manuals should be freely distributed, modified, improved, translated and updated just like the software. Users need manuals that are easy to understand and written in their native language in order to take FLOSS into use. Documentation is one of the areas that has to be improved in addition to localization, training and support. FLOSS advocacy cannot be successful without availability of free manuals. Manuals are published with free licenses such as GPL or Creative Commons. 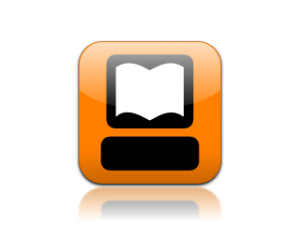 It is possible to read the manuals online or to download them in PDF or ePub formats. Some of the manuals can be ordered as printed books from Lulu.com. Everybody has the freedom to edit the manuals. A manual documenting free software can be outdated very fast since there are frequent updates to the software versions and the localization of the interface. The manuals have to stay alive in order to keep up with the software. The FLOSS Manuals Foundation was founded in 2006. English was the first language community. Finnish FLOSS Manuals was opened in 2009. The writing platform used by FLOSS Manuals doesn’t exactly look like a plain vanilla wiki similar to Wikipedia. The platform used is Booktype, which can be described as a WordPress for books. It is a collaborative writing platform allowing a number of writers to work on the same book at the same time. Booktype doesn’t use a wiki markup, it has a WYSIWYG editor, which makes it possible to participate without knowledge of specialized markup languages. Booktype was originally created for the FLOSS Manuals. Seravo was one of the developers of the platform. Currently the main developer is Sourcefabric and Booktype is spreading fast into other types of writing beyond open source manuals. The platform contains features of social media that make it easier for the writers to collaborate. The main advantage of Booktype is the ability to publish books by clicking a button in a variety of formats, such as HTML, PDF and ePub. More formats are coming. Books can also be stylized with custom CSS files. Collaboration on a wiki is usually seen as an almost random process of quick edits by almost anonymous web based participants. This doesn’t work for longer texts such as manuals or books. A higher level of collaboration and coordination is needed, which makes it necessary to have live interaction between the writers. The most efficient way to write a new manual is to arrange a Book Sprint. A group of writers gather together to write a new manual. There are different varieties of this collaborative writing procedure. It could be a live event of five days or several live writing sessions with online collaboration in the meanwhile. The Finnish FLOSS Manuals has produced manuals for LibreOffice, OpenOffice, StatusNet and video production tools using collaborative writing methods. A similar collaborative method has also been used to translate the Inkscape and Firefox manuals. Seravo offers all necessary support services for the users of open source software. This includes support, training, localization and documentation. The best way to create open source documentation is to do it in a way that is collaborative and open. This means it should be written and published in FLOSS Manuals.